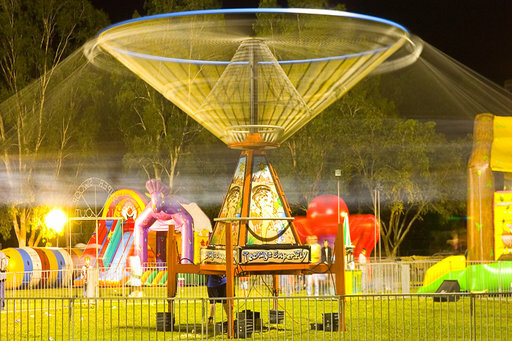 Source outside equipment as early as possible; this will include amusement rides – if your event is during the popular months this equipment could already be booked. Many schools rebook equipment twelve months in advance. The availability, choice and range of rides will impact your event significantly. Consider the ages of your attendance. Eight year old boys love to fly high in the sky on a Super Fly and four year old girl loves doubling down the Fiberglass Jumbo Slide with dad and mum. Choose a mix of rides that are appropriate for all age groups bearing in mind school students will bring along younger and older siblings and friends. An important factor is to “Consider a queue”, you will never beat a line, but you can keep it moving!